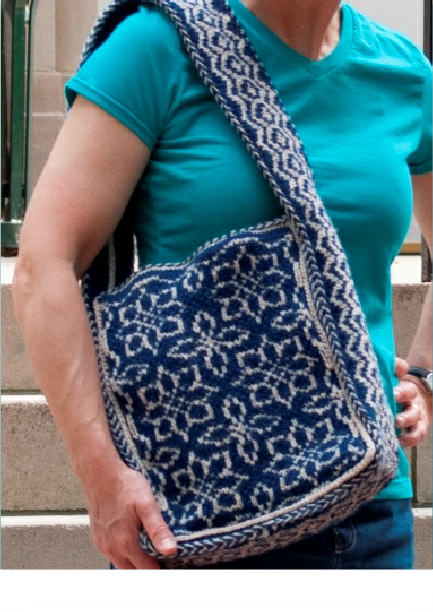 The Tangier Tote uses stitch patterns inspired by middle eastern motifs and is ideal for those making their first foray into Fair Isle. In fact, I created the pattern to use in my class “Don’t Be Stranded” where I teach my preferred two-handed Fair Isle method with woven floats. The pattern begins with 2 small bags to ease you into the skills you will need to make the remainder of the tote. These bags will ultimately become interior pockets in the completed tote. 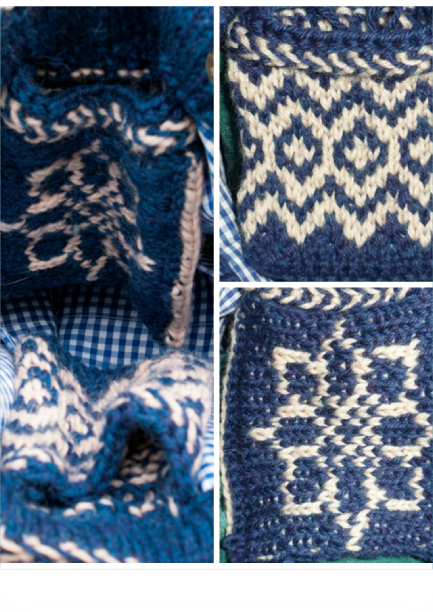 Pocket 1 gives you a chance to get your feet wet and practice some basic Fair Isle colorwork while Pocket 2 introduces more complicated techniques (such as steeking and picking up stitches). The tote is worked in two pieces. First, the sides are worked in the round and then cut along steeks . The strap is worked separately and folded and joined to create a casing. Interfacing and canvas mesh are placed in the casing to create a firm base and no-stretch strap. Finally, stitches are picked up along the edges of the strap and the edges of the bag sides and the bag is assembled with three-needle bind off. There is minimal sewing required when assembling the bag: covering interfacing with fabric for a lining, tacking down the facing around the bag opening and tacking the interfacing in place in the strap. 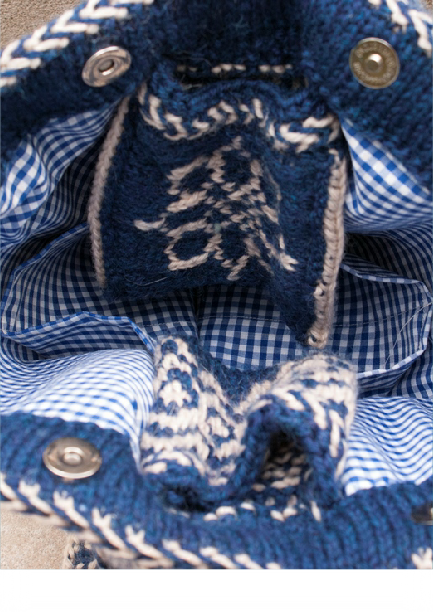 While a sewing machine can be used for reinforcing the steek and the lining, it is not required.